The ADVAN Neova AD07 is the Max Performance Summer tire member of Yokohama’s global family of ADVAN performance tires developed for sports car, sports coupe and performance sedan enthusiasts who love sport driving. Used as Original Equipment (O.E.) on the Lotus Elise, the ADVAN Neova AD07 is designed to provide high levels of traction, responsive handling and driving control in dry and wet road conditions. 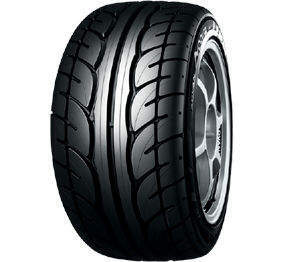 The ADVAN Neova AD07 is not intended to be driven in cold temperatures or in snow. Designed to deliver Yokohama’s ultimate dry street performance while maintaining good wet traction, the ADVAN Neova AD07 uses a “fine particle” Micro Silica (MS) tread compound (to provide greater road surface adhesion) molded into a directional tread pattern that features massive, rounded tread blocks to increases cornering stability and steering response. Five large circumferential and multiple directionally aligned lateral grooves resist hydroplaning and enhance wet traction. Internally, the two wide steel belts reinforced by spirally wound nylon cap plies and provide excellent strength and uniform ride quality while the sidewalls are tuned to resist lateral deflection to provide handling control and feedback.